Great sound equipment is just as important as a great interpreter for the success of a multi-lingual event. If the audience can’t hear the interpreter, there may as well not be one. As a hotel manager or event planner, you may be responsible for the important task of finding equipment. To make sure you’re prepared for your next event, here are the basics of what you need to know when renting sound equipment. How does an interpreting sound system work? 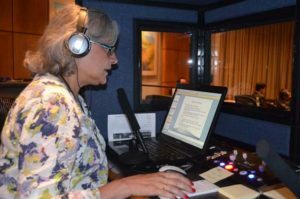 As the speaker gives their presentation, the interpreter will hear it through a headset that is connected to the venue’s sound system, and speak into a microphone, communicating the speech in a second language. He or she will work out of a soundproof booth to ensure a quiet environment for the audience. The interpreter will control the feed through a console and will broadcast it via a radio transmitter. Each audience member will hear the broadcast through a personal receiver and headphones. What components does it require? Where should I look for equipment? Sound equipment rentals are available through many agencies. Look for licensed providers of name-brand products. At Translation Excellence, we work with Williams Sound. Click here to see a list of all rental equipment. The price of equipment rentals will vary according to the length of your event, number of participants and the type of equipment needed. Work with the equipment provider to get a quote for your specific needs. Click here to receive a quote within 1 business hour. How can I prepare for the interpreting session? Before your event, you should meet with a technician from the company providing equipment rentals and go over your sound system. That way, you can test the system to ensure compatibility, as well as plan the layout of the room. Interpreters generally sit in the back of the room, but they will need a clear view of the presenter to catch non-verbal communication cues. Will I need to do anything during the event? Since you’ve met beforehand, the interpreter and technician should be self-sufficient in conducting the interpreting session. In case of any unforeseen difficulties, like internet problems or sound glitches, make sure the technician knows a member of your staff who can provide technical assistance. Overall, renting sound equipment for an interpreting session can be simple when you work with an experienced provider. If you still have questions, feel free to leave us a comment below.